There have been many developments in mattresses with a number of different types now on the market. The type of mattress you end up buying should be based on a number of different considerations. A decent mattress will last many years so investing in the right one is wise! Defining what’s important is the first stage of the process of finding the best mattress for you. There are obvious considerations such as height and weight but also whether you require special support. Certain mattress types offer superior back support while others are built for comfort. One of the major considerations is the actual sizing where there is much confusion! A classic example of this the confusion over IKEA bed sizes which we clear up in our guides. 2.2.1 Tempur – from NASA to your bed! If you are looking to buy a cheap continuous sprung mattress I suggest buying from an online only shop as you will get the mattress cheaper due to the lower overheads for the retailer. Spring mattresses that use a continuous coil unit are often more comfortable than an open sprung mattress for people who share with someone of a different weight as exemplified in the Silentnight hippo and duck advert. This is due to the springs being linked along the length of the mattress rather than the width. 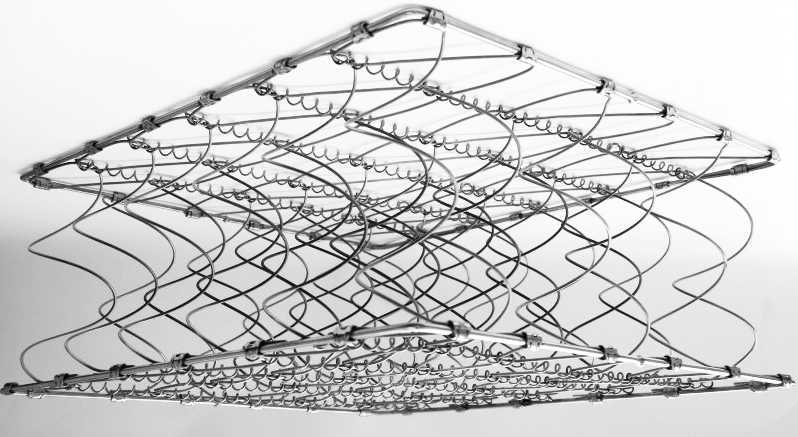 Often more durable than a standard open sprung mattress continuous sprung mattresses use about twice as many springs. As with all mattresses continuous sprung mattress quality varies from manufacturer to manufacturer. Foam mattresses are made from viscoelastic, latex or other polyurethane type foams. 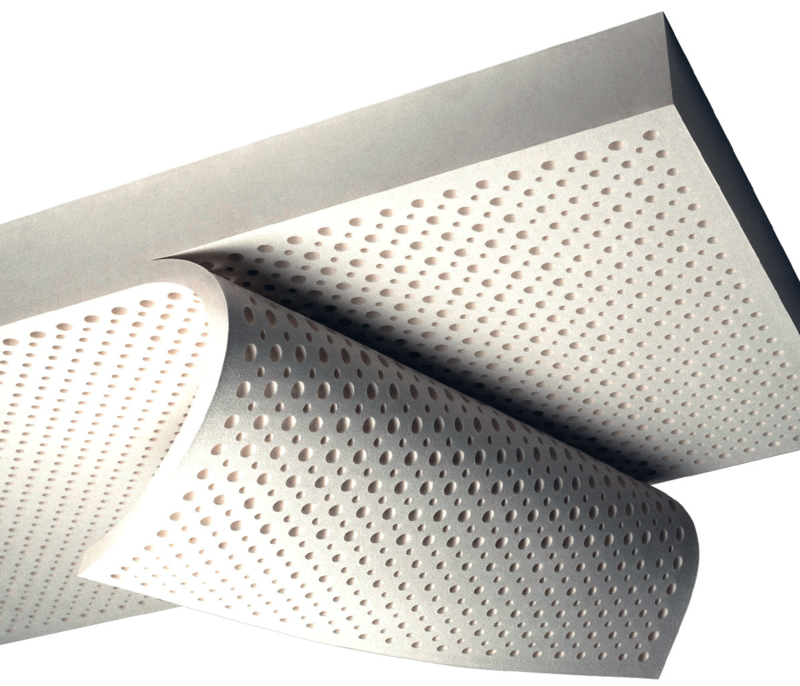 They offer the benefit of being anti-microbial as well hypo-allergenic. Some of the materials used now are highly innovative moulding and remoulding to individual body shapes to offer superb levels of comfort. Memory foam such as this can be cut to custom shapes that fit your existing bed or as a topper for a mattress. A review guide for each of these foam mattresses can be found at on the subsections of this page for you to get the best foam mattress for your needs. There are two types of latex; Talalay and Dunlop. These are differentiated by how the polymer is processed. 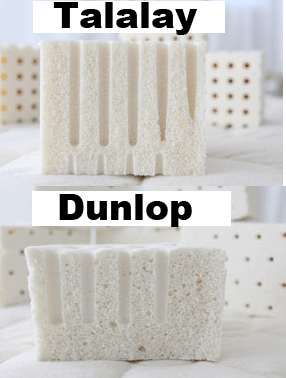 I wont bore you with the details on how these two processes differ but the upshot is that Dunlop has slightly firmer bottom side whereas Talalay has a much more consistent density. What you need to know as someone who will ultimately be sleeping on the stuff is how it has been handled after the processing and what state it is in when it ends up on your bed. Generally speaking the mattresses on the cheaper end will have fillers added and will subsequently be less comfortable. As long as you shop around and find a decent quality mattress, this premium foam will offer superior comfort and durability. The only drawback is they are typically not cheap but if you are after a natural product that offers durability combined with comfort then get your wallet out! Pure polyurethane mattresses are one of the cheaper options. A polyurethane mattress is very functional as it can be cut easily to fit awkward sizes. Typically these aren’t the most comfortable of mattresses and are really only a temporary option, not something you would want to sleep on every night. If you want to get the best value out of a mattress then these are a good choice. Polyurethane is used in memory foam mattresses but has extra chemicals added to increase viscosity and density. Tempur – from NASA to your bed! The material TEMPUR material was initially based around NASA’s research to develop a substance that would cushion aircraft seats and significantly improve the chances of survival in an accident. This specific material is now used within Tempur-Pedic mattresses and other bedding products. If you want to buy a tempurpedic mattress in the UK you will be hard pushed to find a shop. They are also extremely expensive however the manufacturers claim that they offer unparalleled comfort. Often bought as a topper this material is comparable in its consistency with memory foam mattresses. Viscoelastic mattresses are made from synthetic polyurethane which has extra chemicals added to it to increase its elasticity and viscosity hence the name. Visco elastic is a generic term for this specific type of material and is usually used in reference to memory foam mattresses. The word Futon originates from Japan where it is used to describe a traditional style of Japanese bedding. This consists of padded quilts and mattresses supple enough to be folded and stored away freeing up the space to be used for other means. In the UK most are built with a solid metal or wooden frame. This system has been adopted in the west where the idea has been adapted to enable the mattress to be used as a sofa or a chair. Usually they are relatively cheap and enable you to make use of the space in your room more efficiently. They can also be used in the front room and double up as a bed if a visitor is staying over. Although filled with air some manufacturers are producing air mattresses that can be used long term and come with adjustable options. These inflatable and self inflating bed mattresses are ideal if you have guests over as a temporary bed solution. Another option is a fold up bed which can be stored away easily and taken out when a guest comes to stay. One of the cheapest and most portable mattresses that is ideal for camping, temporary bed or a guest bed. Most self inflate these days and therefore are not a chore to blow up. An inflatable air bed is a bit of luxury when you are camping for those of you not keen on the rather firm alternatives. A popular choice is the aerobed inflating to full size in under a minute. If you are on the move and need some kind of travel bed then a blow up mattress makes a perfect portable bed. As mentioned above if you are the outdoors type they blow up mattress serves as a perfect outdoor travel bed. There are two broad types of waterbed; one chamber or “free flow” and multi-chamber. The cheaper single chamber waterbeds will take a while to settle once disturbed. More expensive modern waterbeds employ technology that restricts the amount of movement to under 5%. Waterbeds will typically be heated with adjustable temperatures. More information on this is detailed on this page. Advocates of the waterbed point to the natural support that the buoyancy of the water creates giving a natural and consistent support. Also the warmth of the mattress is said to have a positive effect on blood circulation and muscle relaxing. 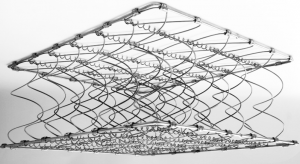 The open coil springs used in this type of mattress will generally give a much softer feel with a firm edge. Open sprung mattresses tend to be at the cheaper end of the market. They are the most commonly used mattresses in the world. Pocket sprung mattresses offer supreme comfort over standard spring mattresses. Each spring is contained within a fabric pocket each responding individually to pressure under body weight. Similar to continuous sprung mattresses they are ideal if there is a difference in weight between two people occupying the same bed.